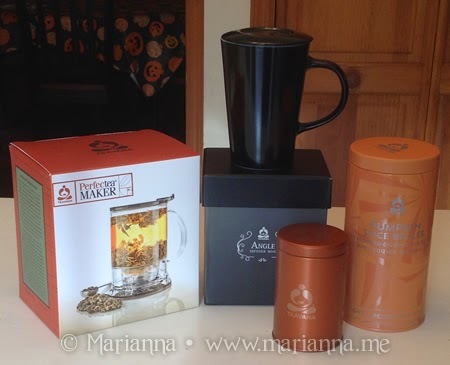 I participated in an Influencer Activation on behalf of Mom Central Consulting for Teavana. I received samples for this review and a promotional item to thank me for participating. It is only recently that I discovered there is more than just simple black tea that I buy at the grocery store. When it came to hot beverages, I always went for flavored hot coffee, especially on a chilly morning. 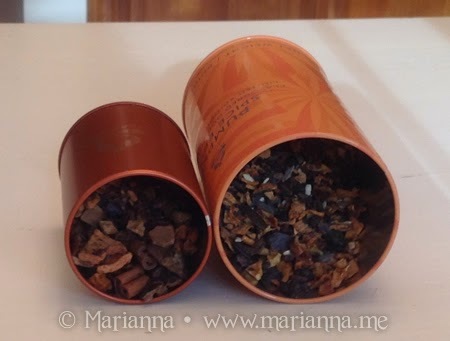 My first experience with different teas was when I tried out the Teavana Oprah Chai Tea back in the Spring. While enjoyed the Chai Tea, it isn't something I would drink on a regular basis. However, when I saw the various fall flavors that Teavana offered I knew I would have some yummy tea sampling in my future. 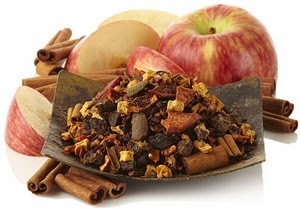 Pumpkin and apples and cinnamon are some of my favorite flavors! 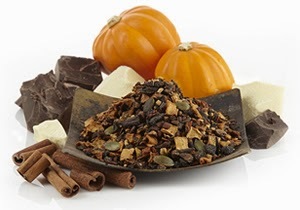 This fall, Pumpkin Spice Brulee and Spiced Apple Cider seasonal teas have returned to Teavana stores, Teavana Fine Teas + Tea Bars and Teavana.com. They are both perfect for enjoying on a brisk, fall day. Now one of the biggest reasons why I wanted to try these, in addition to how delicious they sounded, was the fact that there is no junk in Teavana teas. Looking at the ingredients I only see natural ingredients and that makes me beyond happy. I love my flavored coffees but I am also well aware that those flavors are usually anything but natural. So I like that I can indulge in these teas without worrying about what I am putting in my body. All of the ingredients are listed on the website and on their packaging for you to easily see. The beauty of the Angle Infuser Mug is that it lets you easily steep a single cup of tea. Since I am the only one really drinking these in our home, that is perfect for me. The Perfectea Maker will allow you to brew one to two cups of tea in mere minutes and is perfect if you are sharing with a friend or loved one. For some reason, I love seeing the tea leaves and ingredients floating about in the hot water while it steeps, it is pretty in its own way. The first tea I tried was the Pumpkin Spice Brulee. I simply placed 1 teaspoon of the tea into the Perfectea Maker, added 8oz of hot water and then lit it sit for 3 minutes, no stirring. Oh the smell that filled my kitchen while I was doing this was delightful. It was so easy and in mere minutes I was sitting at the kitchen table reading on my Kindle with a delicious tea to sip at.I have to say I was a bit surprised at all the flavors mingling in this tea. it was both spicy and creamy and just so very fall. I loved it! The whole scooping out the tea and steeping part might seem a bit daunting to you, but I promise it is easy. Each tea comes with specific instructions of how much tea to use, the temperature the water should be and how long to steep for. There are even instructions for making iced tea which would be so refreshing in the summer. Just make sure you follow the instructions carefully to get the best tasting tea. I did not steep my first batch of the Spiced Apple Cider long enough and it came out a bit weak. Once I did it correctly though, it was perfect. 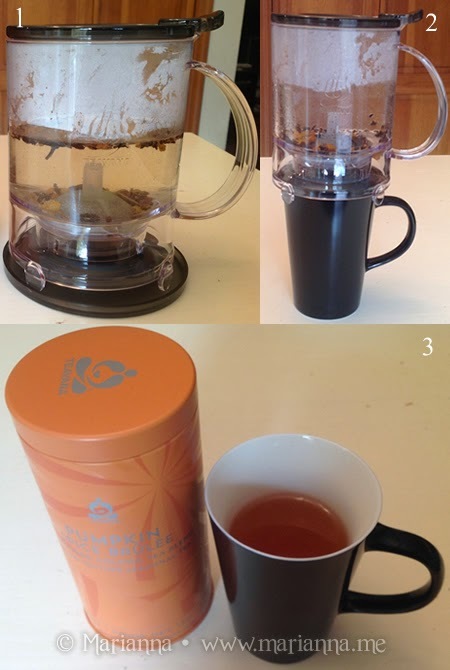 Now through October 31, 2014, you can save $10 off your $30 order or more at Teavana.com by using coupon code Prudent10off30 at checkout!